These rings are made from Honduras Mahogany. This set is tapered and are well suited for installation on guitars with a stoptail bridge. They are also an excellent choice for guitars with a mahogany body. The grain is currently being cut with horizontal grain orient for strength and stability. 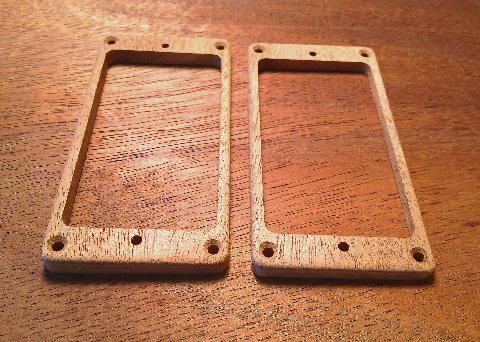 Put a set of genuine mahogany pickup rings on your guitar for a sophisticated warm look! You will not be disappointed! and may not be duplicated or used in any way without written permission. * All Images of the Gibson Les Paul All Wood model are the property of Gibson Brands, Inc.